This Labor Day Weekend, we fired up the Stumps and cooked over 100 lbs of bbq. Here are a few pictures from the weekend. Thanks Sarah for capturing some of the action. The Stumps loaded up - 8 butts and 4 briskets. I was very pleased that everything cooked evenly from top to bottom. We tried some new things with our ribs this weekend, and the results were fabulous. 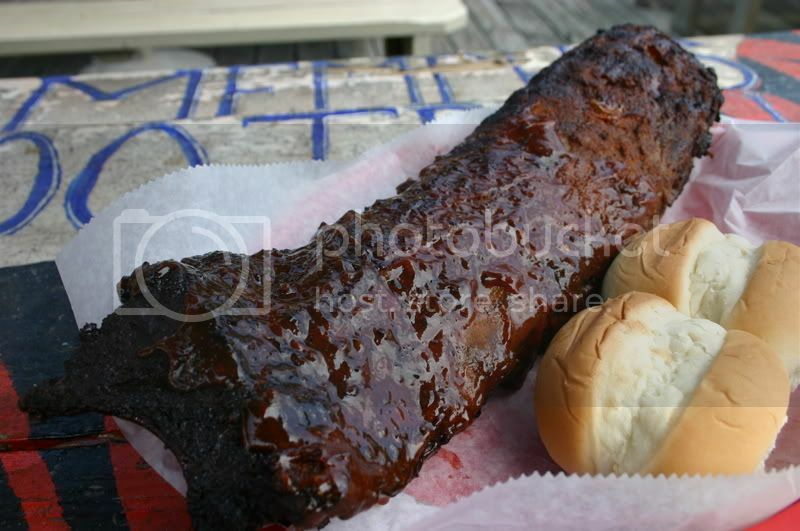 I just hope that I can replicate those ribs next week in Cookeville. Peter again whipped up some peppers. Even though I cook bbq frequently, I rarely sit down and make myself a nice bbq sandwich. Patrick made some slaw that was very complementary to my pork and some Blues Hog. Are you ready to rock shoegaze? My Bloody Valentine is one of those bands that shone very brightly for an instant and then just as quickly burned out, seemingly never to be heard from again. Their crowning achievement was 1991's Loveless, which was never a hit, commercially, but like Brian Eno said of the Velvet Underground, "everyone who bought it started a band." Over the years, it has come to be regarded as a minor masterpiece. The video below is for "Sometimes", which was featured in the excellent 2003 film Lost in Translation. Enjoy. I am a big fan of the Loveless Cafe. Having spent most of my life on Nashville's west side, I have eaten more than my share of biscuits and country ham at this venerable landmark, and I still think it's one of the best breakfasts in the city. Their extensive renovations a couple of years ago brought a lot of new things, one of them being barbecue. I have never brought myself to try it. Maybe one of these days I will. But for now I just stick to the proven winners - fried chicken, meatloaf, hashbrown casserole, country ham and red-eye gravy, and of course those incredible biscuits and homemade preserves. 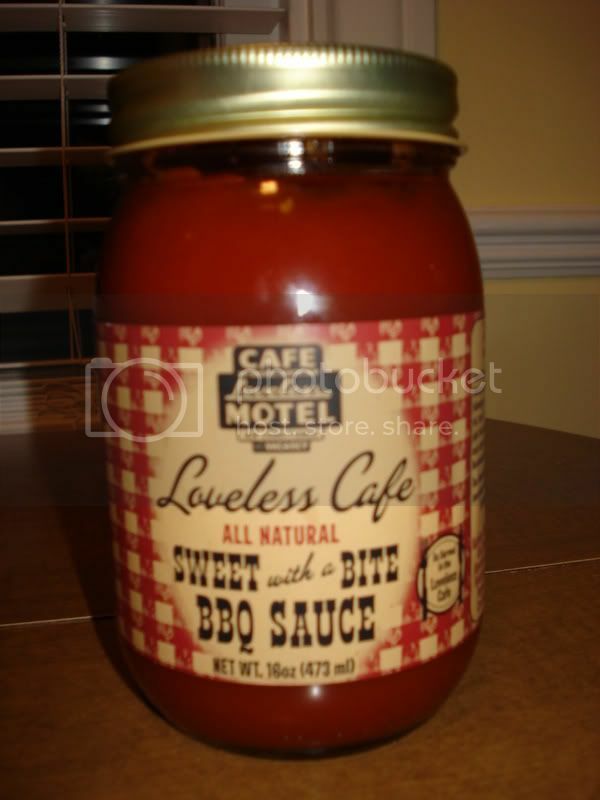 I did, however, happen to pick up a jar of Loveless' "Sweet with a Bite" BBQ sauce when I was there the other night. I really wasn't sure what to expect. On one hand, this restaurant has a 50 year tradition of great southern cooking. On the other hand, they have almost zero barbecue tradition to speak of. Well, it pains me to have to report to you that this sauce is considerably off the mark. It is neither very "sweet", nor possessive of any significant "bite". In fact, it actually tastes just like ketchup. And I don't mean ketchup-based. I mean, it tastes just like ketchup. There might be a tiny hint of vinegar tanginess, and there are a few sparse chunks of bell pepper floating around. But still...ketchup. Very disappointing. I was back in Memphis again this weekend, with my brother-in-law (Memphis native). 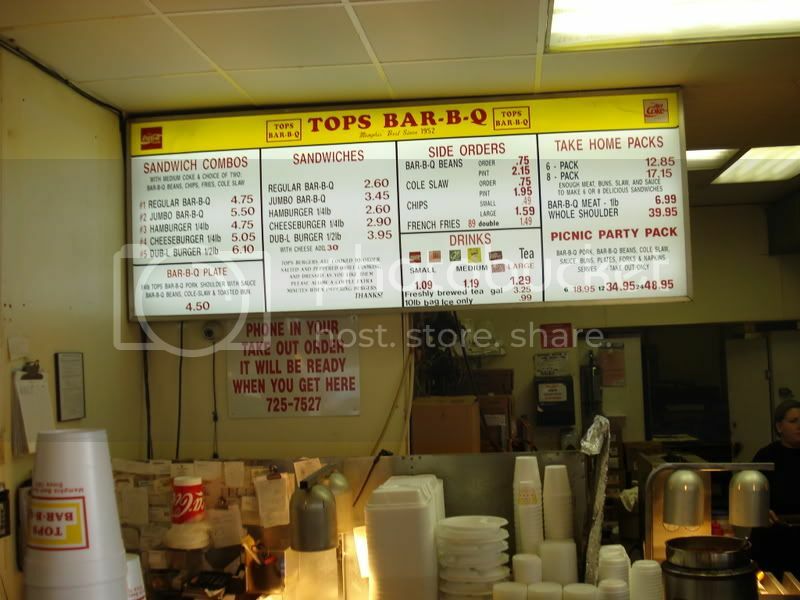 After an awesome visit to Sun Studio, we decided to visit one of his favorite local barbecue restaurants - Tops Bar-B-Q. Tops has 14 locations in the greater Memphis area. My experience with the similar infrastructure of Whitt's here in Nashville has led me to be wary of such arrangements. But I was interested to learn in this interview by the Southern Foodways Alliance that unlike Whitt's, each Tops location has its own pitmaster and cooks its own barbecue on site. 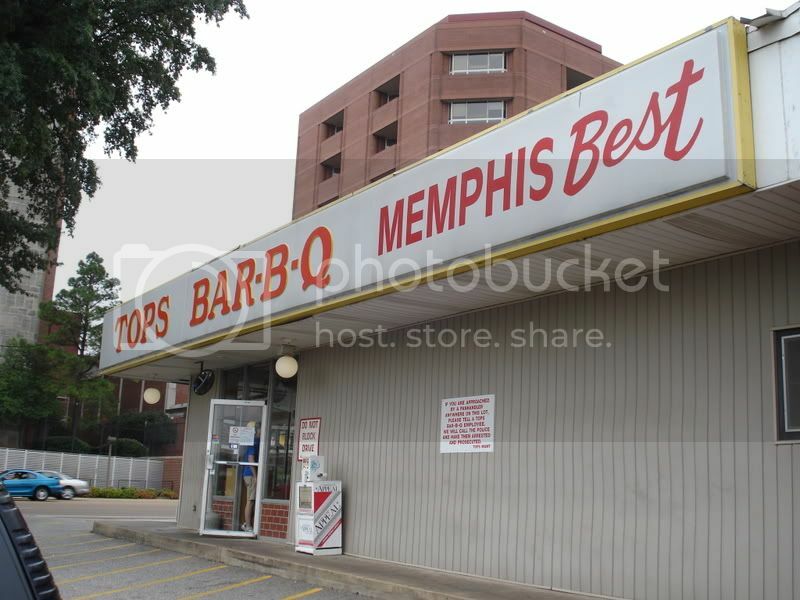 An interesting thing about Tops is that they don't do ribs at all, which is pretty rare in Memphis. It's only pork shoulder and hamburgers. I ordered a pork sandwich. First of all, I dig the wrappers that the sandwiches come in - very Varsity. As for the sandwich itself - I dug it too! Right or wrong, I don't expect a chain to be able to compete with a single location locally owned place, but this sandwich is right up there among the best I've tasted in these reports. Of course it came topped with slaw, which is, in this case, more of a mustard-based version. And the barbecue sauce is more tangy and less sweet than most that I've tasted in Memphis. The meat itself is the star, though. Maybe I just got lucky, but this is the most bark pieces I've ever gotten on one sandwich. The result is a great textural contrast of tender and crispy. The thing about having a different pitmaster at each location is that there could be issues with consistency. 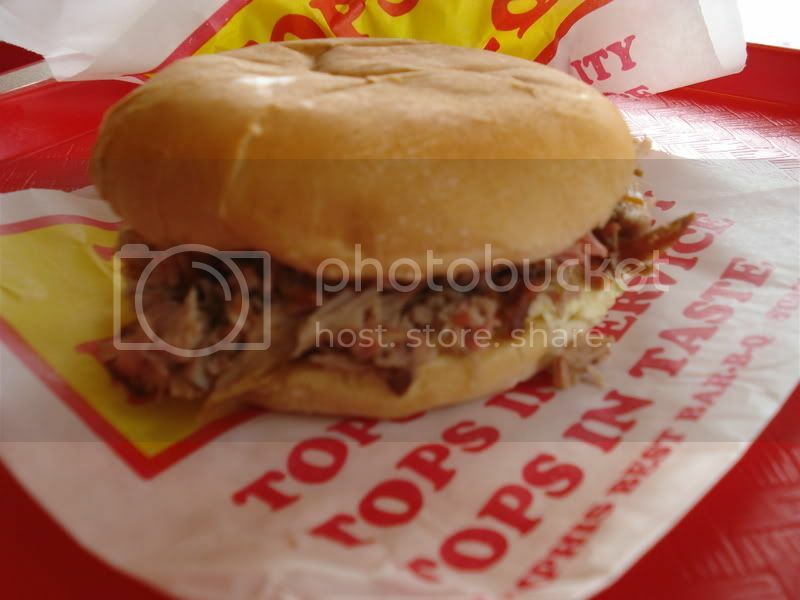 So maybe at another Tops location, the barbecue sandwich would not have been as good. But on this day, at the location on Union Avenue, Tops lived up to its name. When celebrating a special occasion (happy anniversary, Natalina) there is noting like a great steak. 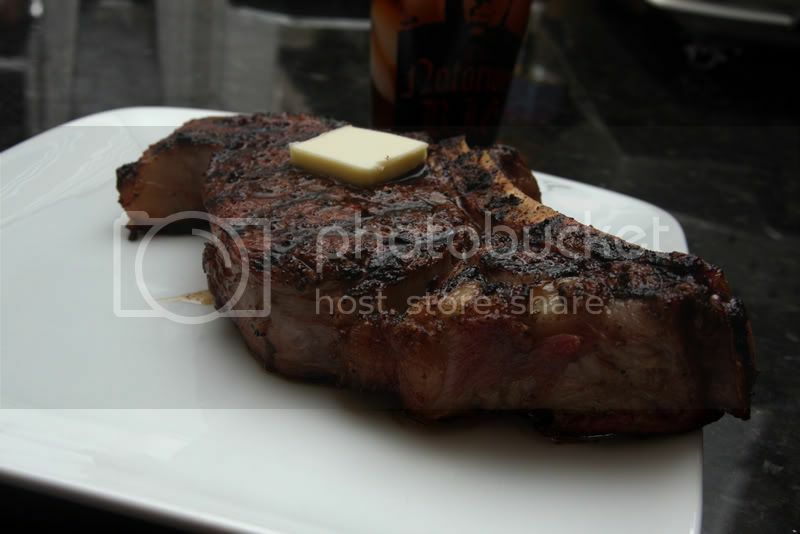 For my steak, I started with a 2-inch thick, 22 oz. bone-in ribeye. 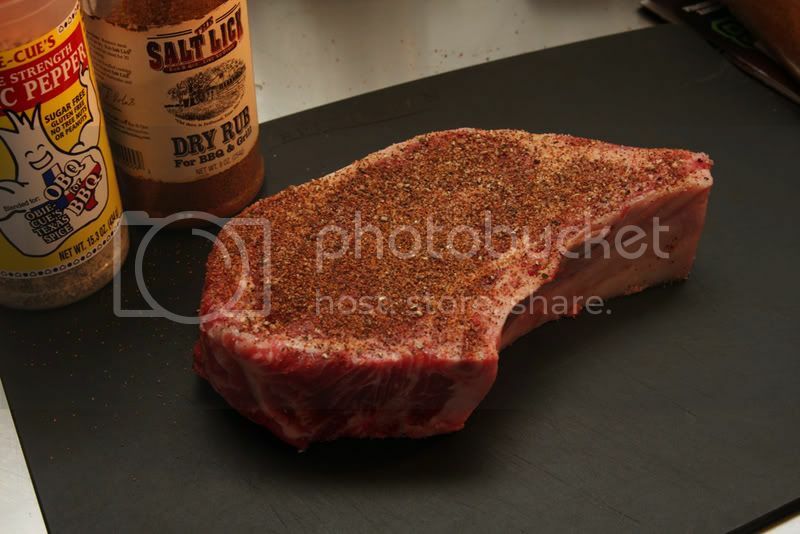 I seasoned the meat with Obie-Cue's Double Strength Garlic Pepper and The Salt Lick Dry Rub. The steaks were seared at lava temps on the Big Green Egg then rested and finished on the Egg at 400 degrees. On this day in 1959, Hawaii rounded out the number of stars on our flag by becoming the 50th state in the union. After government approval was made in March and a rousing majority of Hawaiians voted yes to the inclusion that June, President Eisenhower made the "Aloha state" official. Light Winds! Oh Poor Hawaii! Hawaii's official state food is the coconut muffin. Mmmmm. BTW, Tennessee doesn't have an official state food, but we do have an official state fruit. However, forty nine years has not been long enough to master the game of football. I don't think that Hawaii will be much of a match for the gators either. My refrigerator died last week. And unfortunately, I was not at home when it died, so by the time I discovered it, everything inside was ruined. 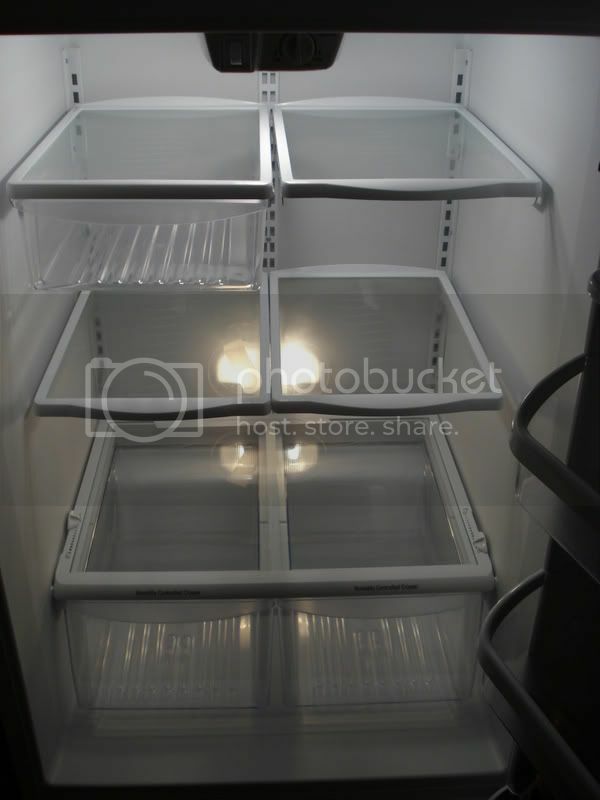 That's the insult on top of the injury of having to buy a new refrigerator - you also have to replace all of the food. So last night I went condiment shopping. Because condiments are obviously the most important thing in a refrigerator. And as I was deciding which condiments to buy, it got me thinking - if I had to rely for the rest of my life on only five condiments, which ones would I choose? So after much debate, here they are - my desert island condiments. Feel free to mock me (yes, I like artificial cheese products). And feel free to share your own. Central BBQ is decidedly different in atmosphere than most of the barbecue joints visited in these reports. It's a funky, family-friendly kind of place, where the employees wear tie-dyed shirts and classic rock is on the stereo. 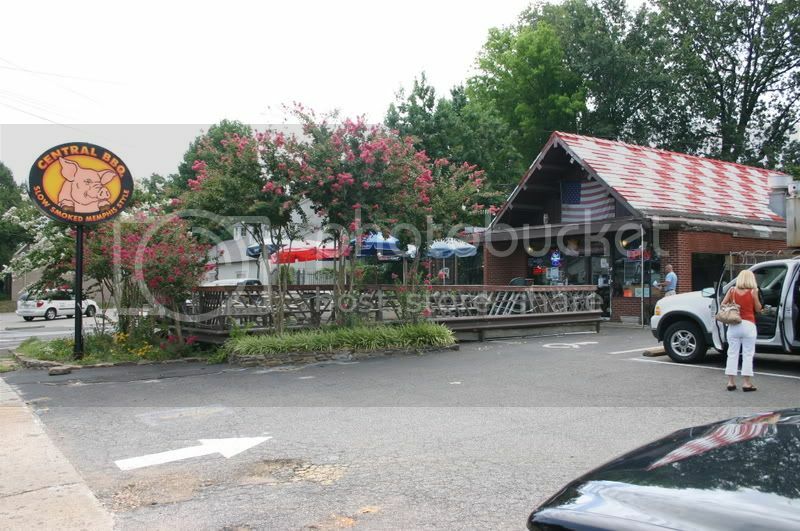 The location I went to on Central Avenue has a nice big deck out front. All I can say about the ribs is WOW! 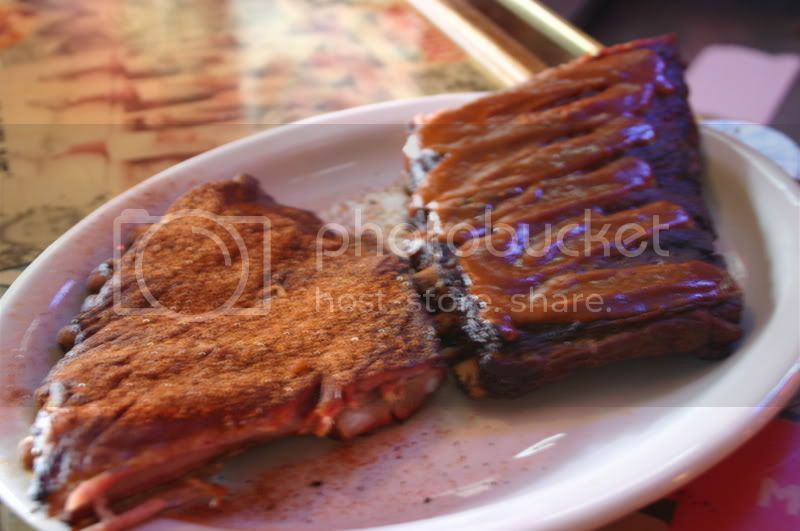 These are among the best ribs I have ever tasted - definitely the best I've ever had in a restaurant. I ordered them half dry and half wet. The dry half were very, very good. The exterior was nicely charred and flavorful, while the interior was like butter - unbelievably tender and had a great pork flavor. The wet ribs were simply out of this world. 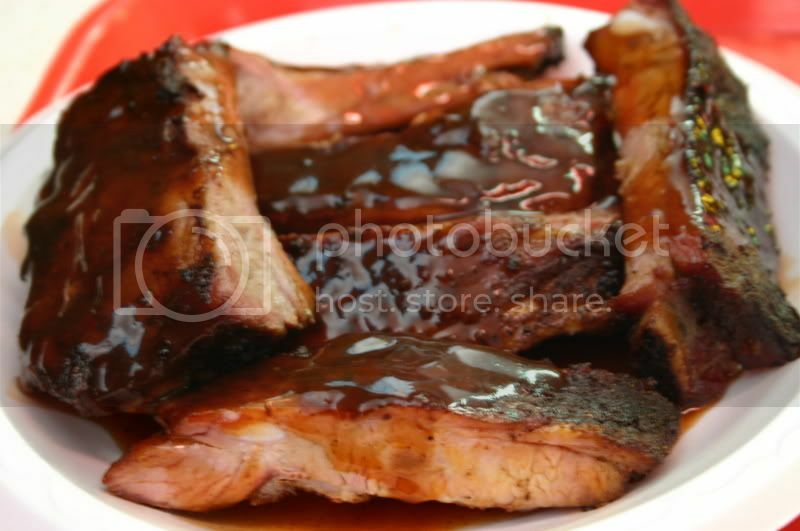 Take the dry ribs that were already great and add a sauce that perfectly complements - sweet and a little spicy. Wow! 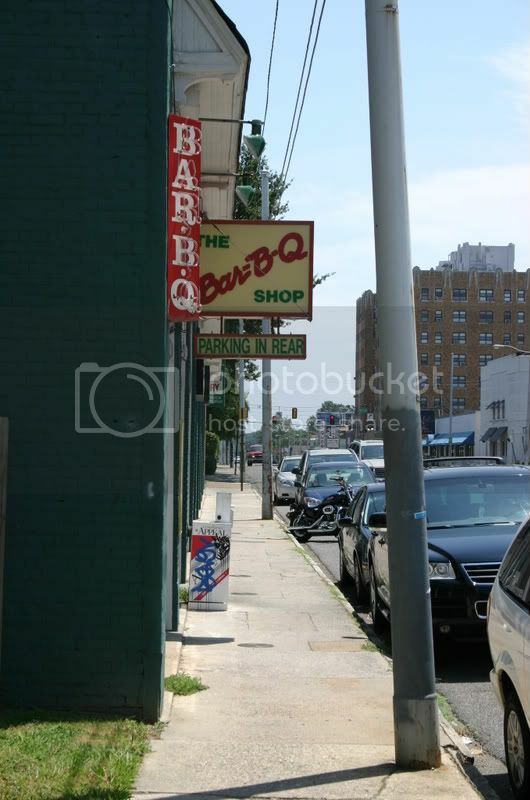 My next stop was not far away - The Bar-B-Q Shop. This place was again a little bit different than the norm, with table service, cloth napkins, and a full bar - not exactly what you'd expect a place called the Bar-B-Q Shop to be. The food, however, was exactly what I was hoping it would be - outstanding. The sandwich at the Bar-B-Q Shop is a little bit different. It employs the same basic formula of chopped pork, barbecue sauce and slaw, but it's served on Texas toast instead of a bun. Also, the slaw is very unique, with big crunchy chunks of veggies, as opposed to the usual finely chopped hash. The result was that the slaw seemed to have a greater voice in the taste of the sandwich. It almost tasted...healthy. Overall, it was a nice change of pace and I enjoyed it - another excellent barbecue sandwich. For the ribs, I again went with half dry and half wet. In this case, I liked the dry ones better. The rub that these ribs were finished with was heavier and slightly more coarse, resulting in a bolder, super-charged flavor. It was also slightly sweeter, which was nice. The ribs themselves were not cooked *quite* enough, and were a little bit lacking in smoke flavor. The sauce on the wet version just did not pack the same flavorful punch that the rub on the dry version did. Overall, these ribs were good to very good. The specialty here is ribs, and they only come one way - dry. 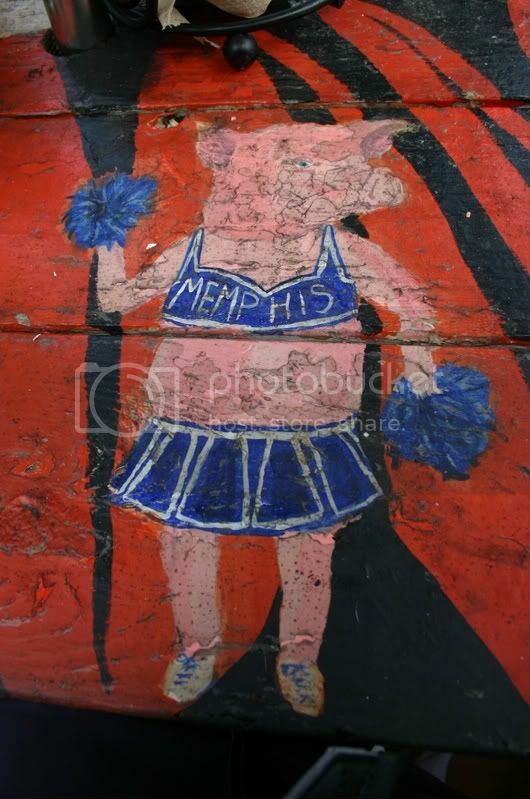 This is the quintessential Memphis dry rib. As critical as I have been and continue to be of Rendezvous' product, I think they really do have the best dry rub going. It's complex, with so many layers of flavor. And it's distinct - there is no mistaking it (I think it's the touch of cinnamon). Now...if only they could pair that rub with a rib that was cooked right. The ribs here do not appear to have any smoke on them at all. The interior color of the meat is stark white - no smoke ring - and there is no trace of smoke in the taste. All of the flavor comes from the rub. They are tender, and...dare I say...they taste good. But it somehow just doesn't taste like barbecue to me. Whether the sport at hand is basketball, handball or synchronized diving, it's all about focus, determination and training. So in honor of the world games, we're pleased to bring you a few favored training music selections - pounding, inspirational and montage-tastic. I finally gave in. 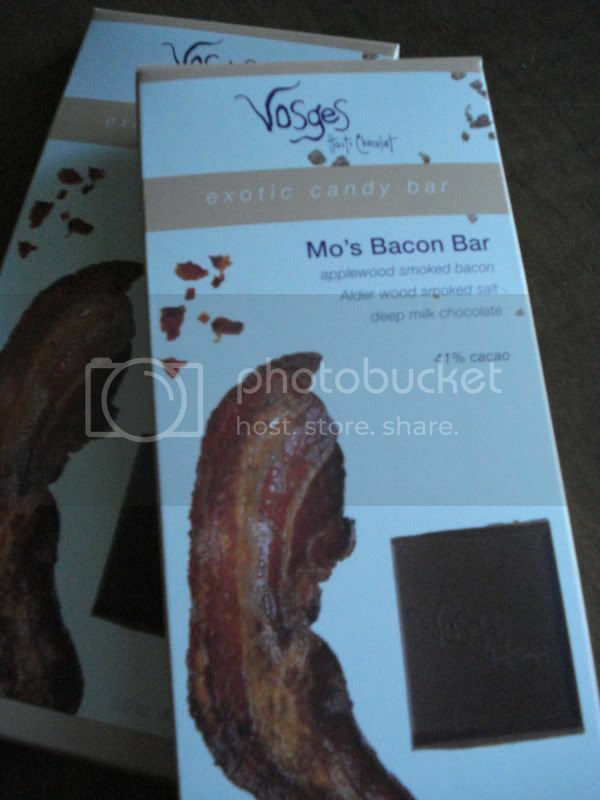 For several months now, I have been hearing about Vosges' outrageous Mo's Bacon Bar - a milk chocolate bar spiked with real applewood smoked bacon. I think everyone's initial reaction is shock, but if you think about it, bacon really is a nice complement to things that are sweet. Lord knows we've been there on this site. I think the only thing that's kept me from trying it is the fact that you can't buy it anywhere around here. But when Jim Ridley referenced the Bacon Bar on Bites last week, that was it. I bit the bullet and ordered a pair. Do you know how there are some things in life that, when you finally experience them, they just don't live up to how great you thought they'd be? This is not one of those things. Mo's Bacon Bar is everything I dreamed it would be and more. 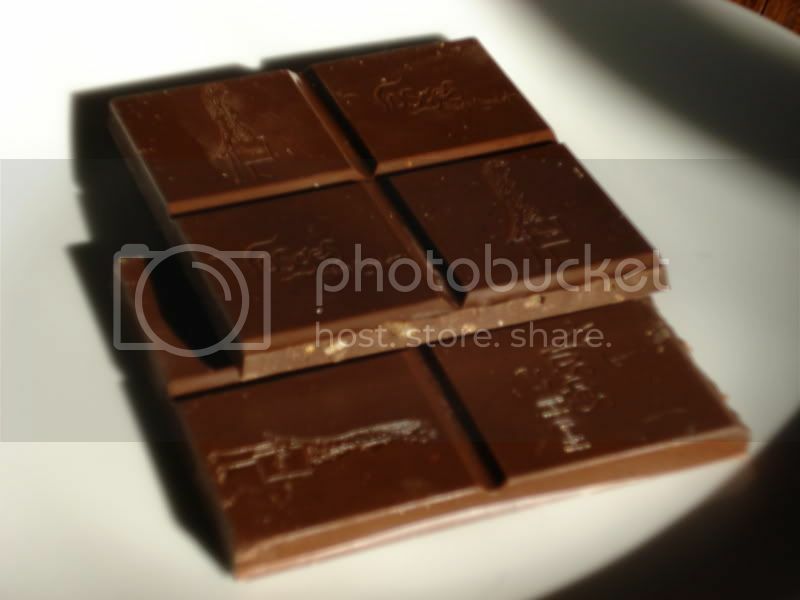 The smooth and rich milk chocolate was prefectly contrasted in both texture and taste by the little chunks of salty bacon goodness. And I was pleasantly surprised to find no shortage of bacon in the bar. For a sweet-and-savory junkie like me, this one really hit the spot. It's that time of year. Yes you can smell the funnel cakes in the air, and the carnies are running about. The fair is in town! 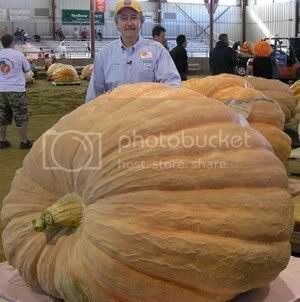 All over the country people are entering in their 920 pound pumpkins and showing off their hog calling skills. This weekend is also the kickoff for the Wilson County Fair. 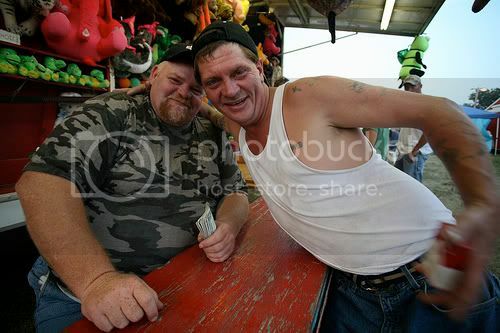 This fair is considered by most to be the best fair in the state of Tennessee. Now while it might not rank up their with the Texas State Fair, it still has plenty to offer. The headlining entertainer is Tracy Lawrence and they have everything from an exotic animal contest to a demolition derby. There will also be a KCBS competition. We are not competing in this contest, but I do have the honor to judge this event. It all gets started on Friday night with a "What's Your Beef?" contest. 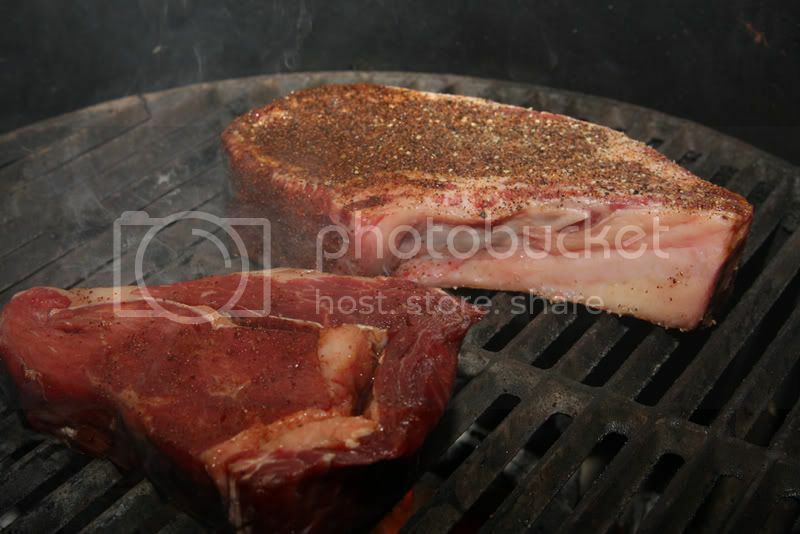 In this ancillary event, contestants can turn in any cut of beef. I imagine that I will see and taste some wonderful beef dishes Friday evening. 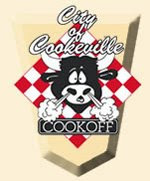 On Saturday, all four KCBS meat categories will be turned in for judging. I unfortunately will have to sample six pieces of chicken, ribs, pork, and brisket prepared by some of the greatest bbq cooks around. 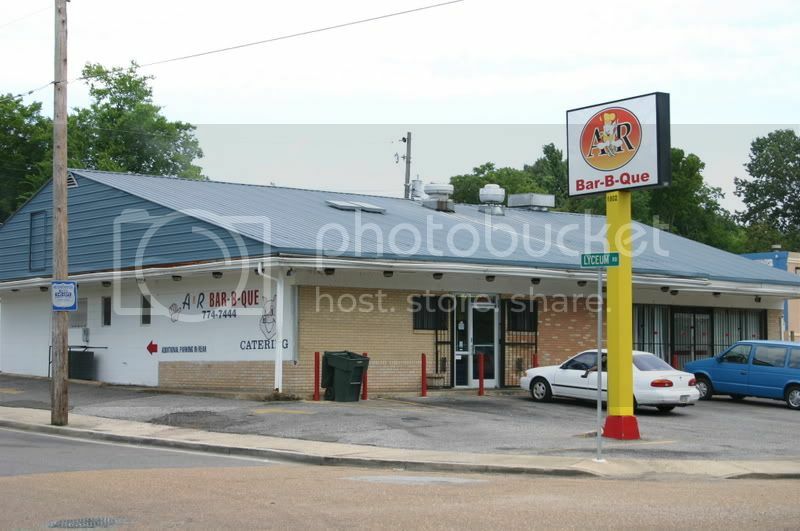 A&R Bar-B-Que, located in south Memphis on Elvis Presley Boulevard, is another of the diamonds in the rough that Memphis seems to have so many of. 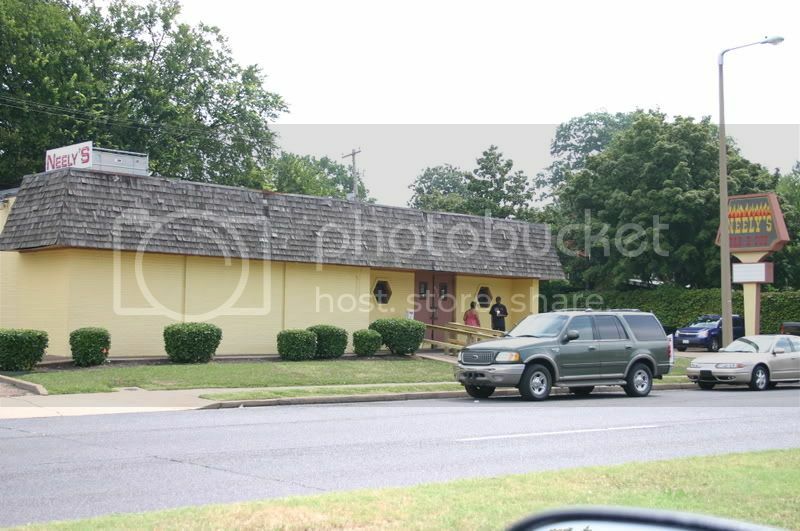 It's discovering places like this that makes exploring Memphis barbecue so much fun. I had heard that A&R makes a mean barbecue sandwich, so that's what I ordered. I was not disappointed. 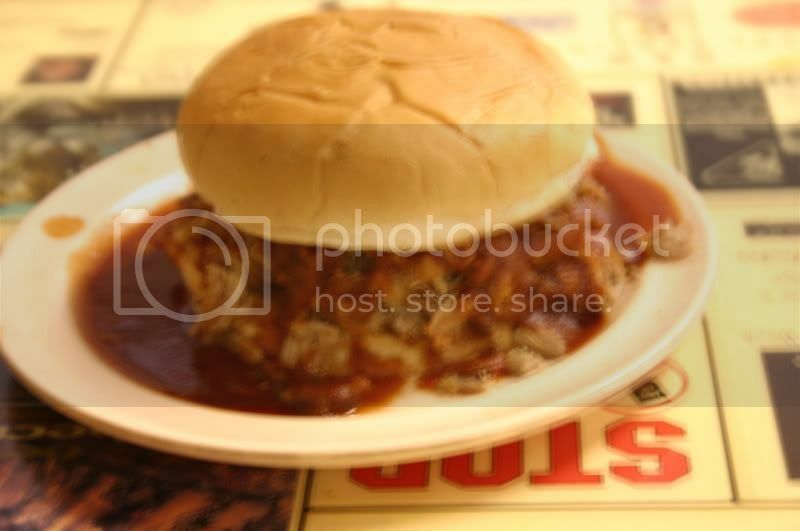 The sandwich is served in the traditional Memphis style, with chopped pork, barbecue sauce and slaw. This is definitely a more traditional slaw than is served on the sandwich at Payne's, but in the same way, this slaw adds to the overall harmony of the sandwich, rather than just being a gratuitous add-on. The pork here was outstanding - juicy and tender, with lots of bark in the mix. The barbecue sauce is mild and sweet, and there is lots of it. Overall, another incredible sandwich. 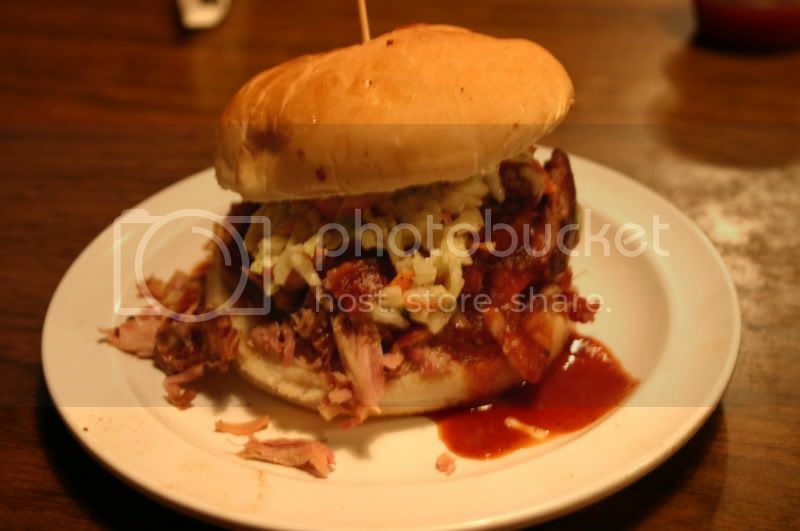 Were it not for that sandwich at Payne's, this would be the best barbecue sandwich I've ever tasted. Another item that is not to be missed at A&R is their fried pies - including sweet potato! After a couple of great barbecue sandwiches, I was ready for a change of pace. 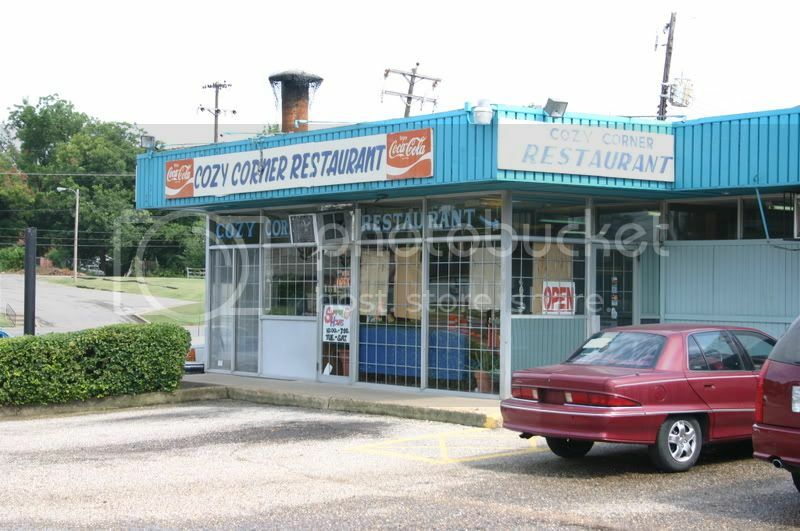 Cozy Corner, on North Parkway near downtown, is known for their barbecued cornish game hens. Unfortunately, by the time I got there, they had sold out of the hens, so I went with some ribs and a sliced pork sandwich. Now these were the real deal ribs I'd been looking for! They were perfectly cooked, with a nicely set up bark on the outside, but still tender on the inside. They had a really strong smoke flavor, which is complemented nicely by a glaze of cinnamon-sweet sauce. Good stuff! The sandwich was an interesting variation of the Memphis classic. 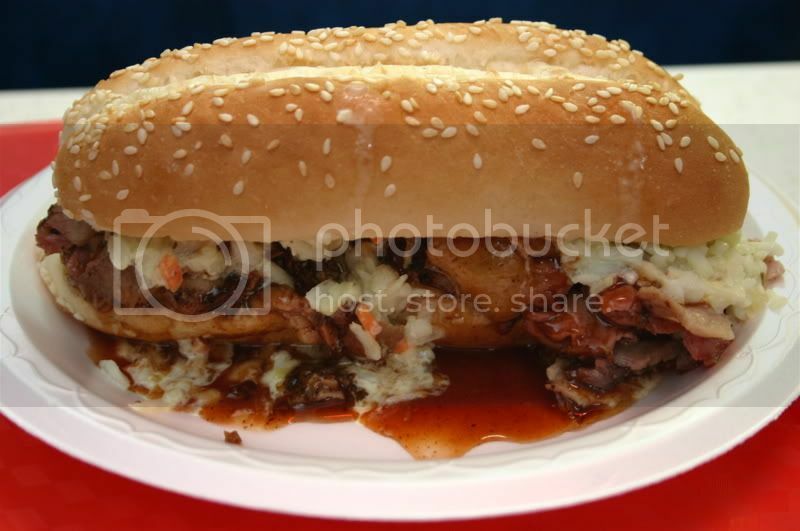 The pork was served in thick slices on an oblong sesame seed bun, with barbecue sauce and slaw (of course). 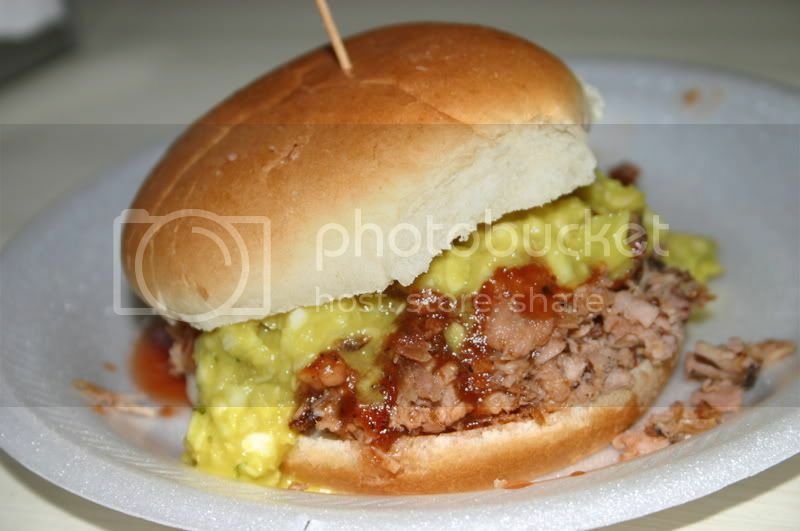 Eating this sandwich made me realize why most pork sandwiches are with either pulled or chopped pork. The meat was not cooked to that almost melt-in-your mouth tenderness that you normally find with pulled or chopped pork shoulder. In this case, the slices were fatty and rather tough. That awesome barbecue sauce that was on the ribs made a return appearance, though, and cured all manner of ills. 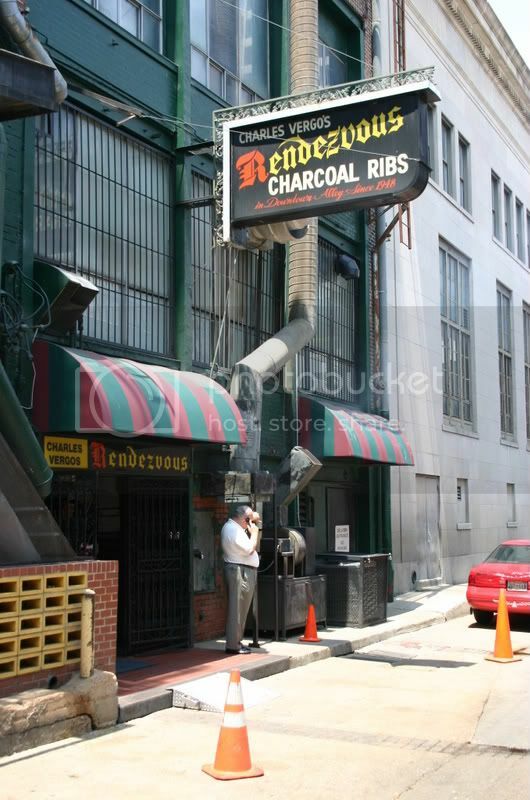 Neely's is another Memphis legend of which we have a replication in Nashville. To be honest, although it has a pretty good reputation, the Nashville Neely's has never done much for me. 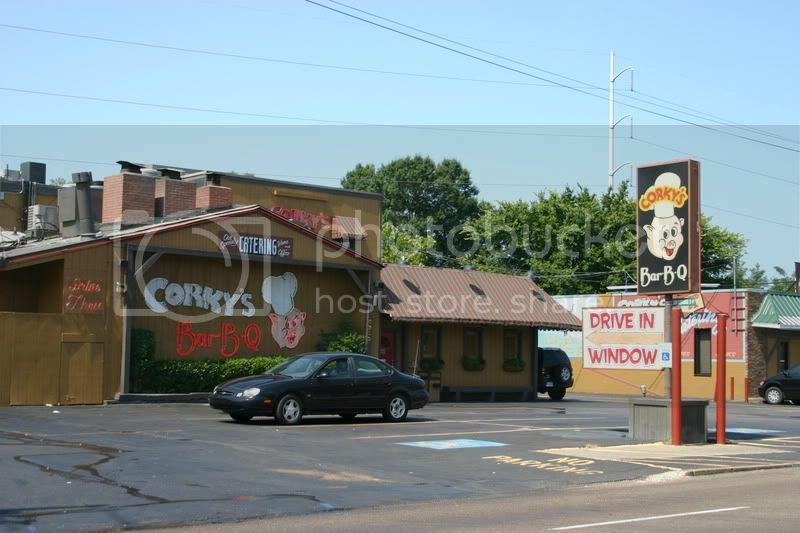 With Corky's, it turned out that the Nashville apple did not fall far from the Memphis tree. Would Neely's prove the same? No. I could tell right away when I walked into the original Jefferson Avenue location that this was a different animal. This one featured table service, and the atmosphere was a bit more upscale, with a cool, clubby atmosphere. Needless to say, the televisions were all tuned to the Food Network. I ordered a pork sandwich and a rib plate. 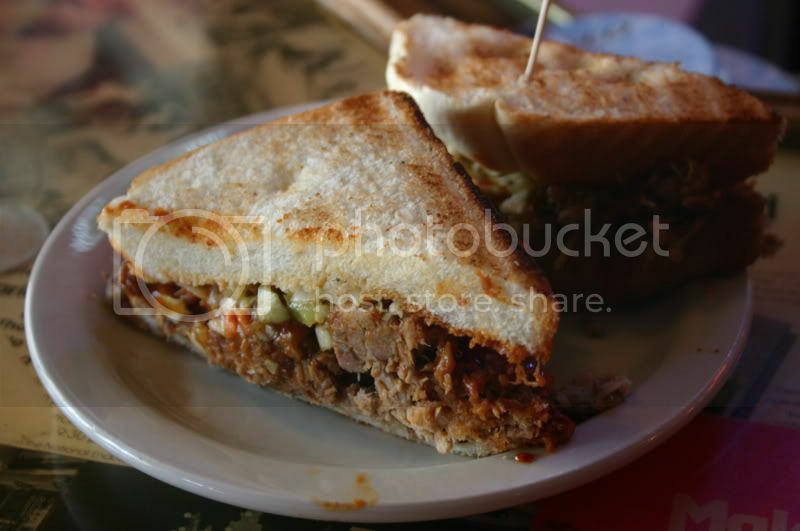 The pork sandwich was another winner, which is to say, par for the course in Memphis. 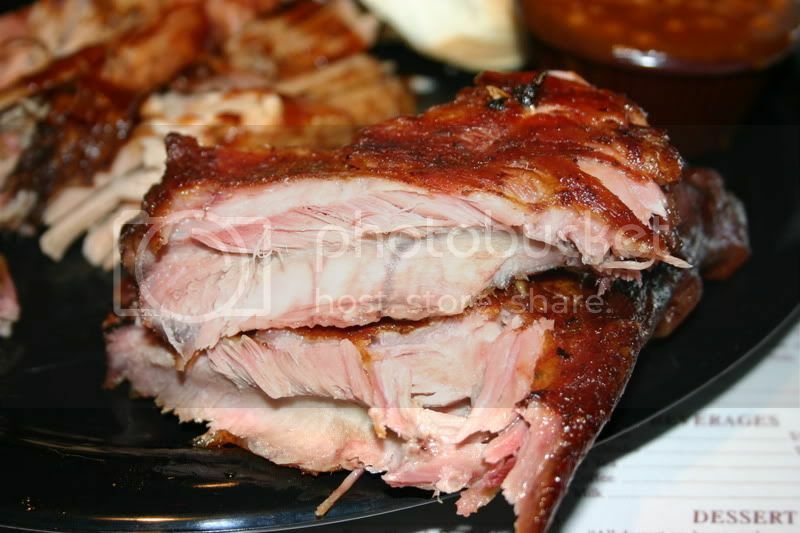 The pork was chopped a bit more coarsely, with great pork flavor and just enough smoke. The sauce and slaw were applied a bit more sparingly than at other places in these reports, allowing the quality of the pork to really shine. This was a great sandwich. 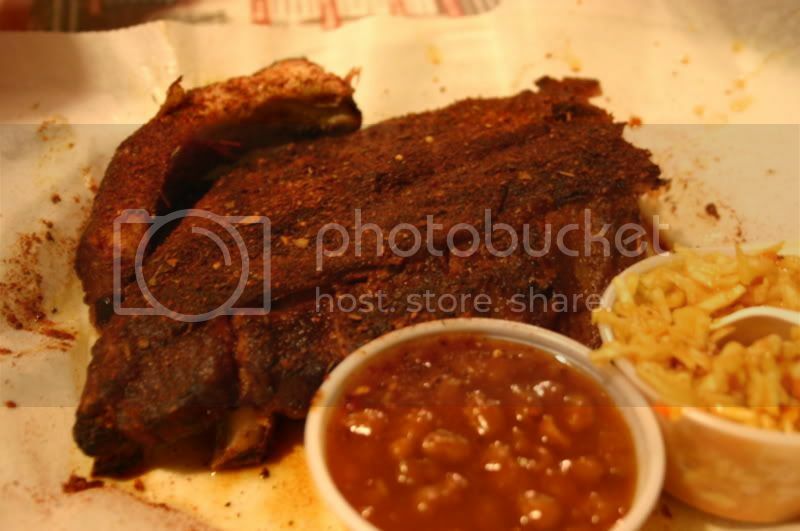 The ribs were where this Memphis location really separated itself from their Nashville counterpart. Unlike the flaccid, mushy ribs I regularly find at home, these ribs were cooked and finished very nicely. They were just shy of fall-off-the-bone tenderness. 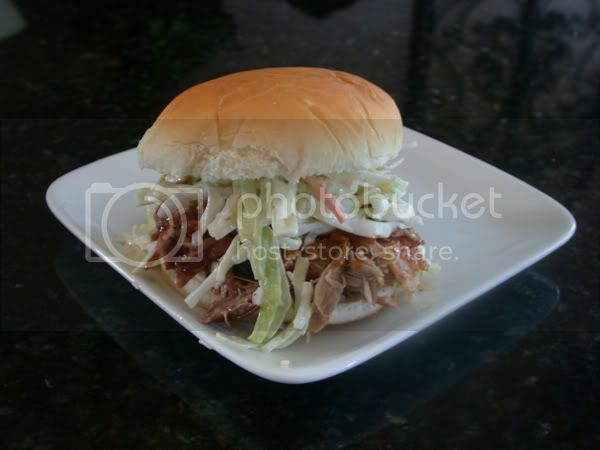 They were meaty and had the same touch of smoke the the chopped pork on the sandwich had. The sauce added a sweet, tangy element to the taste, but did not overpower. All in all, this Neely's, at least on this day, did a great job. 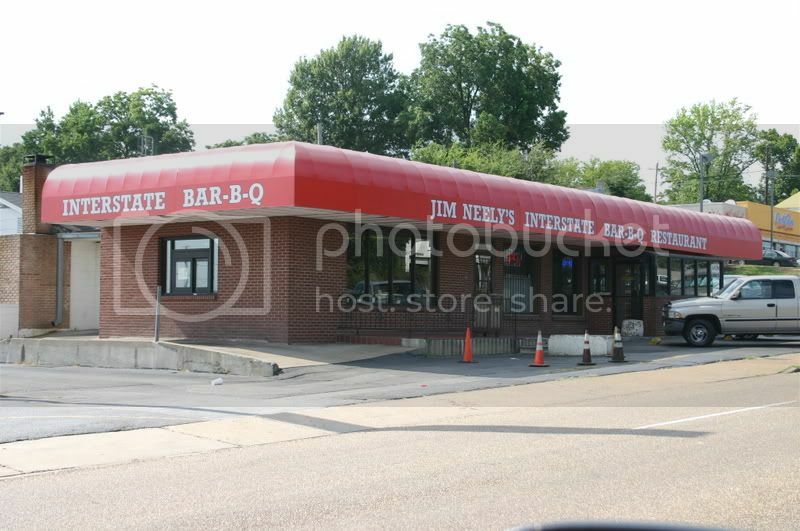 I thought that back-to-back would be the best way to take in the "other" Neely's brand in Memphis - Jim Neely's Interstate Bar-B-Que. Interstate actually pre-dates Neely's by several years. Jim Neely opened on South 3rd Street in 1979. In 1988, his nephew Pat, who had worked in the restaurant, decided to branch out and start his own restaurant - thus Neely's was born. Interstate definitely has a more old-school feel than Neely's. The menus, however, are remarkably similar. Again, I ordered a sandwich and a rib plate. If you're thinking, "I can't see the slaw on that sandwich," it's not just because of my shoddy photography. The slaw is actually under the meat - an interesting twist. Even in this blurry photo, though, it's easy to see that this sandwich is swimming in sauce. Now I do love barbecue sauce, Dear Reader, but this was overkill. I found myself spooning off sauce to try and get the meat/bun/sauce ratio back to a reasonable level. The pork that I uncovered, however, was not really worth the effort - mushy and bland. This sandwich fell well short of the high standard set by the likes of Payne's, A&R, and Neely's. Another terrible photo, and I'm sorry for that. I could tell right away that these ribs were off the mark. They had the appearance that they'd been simmering in a big pot of barbecue sauce. Tasting did nothing to dissuade that suspicion. They had the consistency of a pot roast, disintegrating upon touch. After scraping off some of the sauce, I found the meat to again be mushy and completely lacking definition. The taste was overwhelmingly of barbecue sauce. Very disappointing. So...at least on this day, in the head-to-head matchup of Neely vs. Neely, the nod clearly goes to the young upstarts. He's been called the "Elvis of E.Coli," the "Sinatra of Salmonella" and the "Artist Formerly Known as Prince of Pesticides" - Dr. Carl Winter is serious about Food Safety. To promote awareness, understanding and responsible coexistence with our microscopic friends, he has created a number of music parodies called Food Tunes. Parodying songs by artists such as Paul Simon (50 Ways To Eat Your Oysters), Will Smith (Don't Get Sticky Wit It), Kenny Rogers (Don't Be A Gambler), the Beatles (You Better Wash Your Hands) and the Eagles (Stomachache Tonight), Dr. Winter uses his synthesizer to cover various topics from diseases and viruses to poisons and pesticides. Some songs have accompanying PowerPoint presentations...but a few have fully animated videos complete with lyrics. If you'd like to learn more, hear more, download some PowerPoints and/or order Dr. Winter's CD, Still Stayin' Alive: A Take Out Menu of Food Safety Hits (Including New Releases), visit his website. I thought it would be fun, and maybe beneficial, to take a look at some sauces that are widely available in supermarkets. 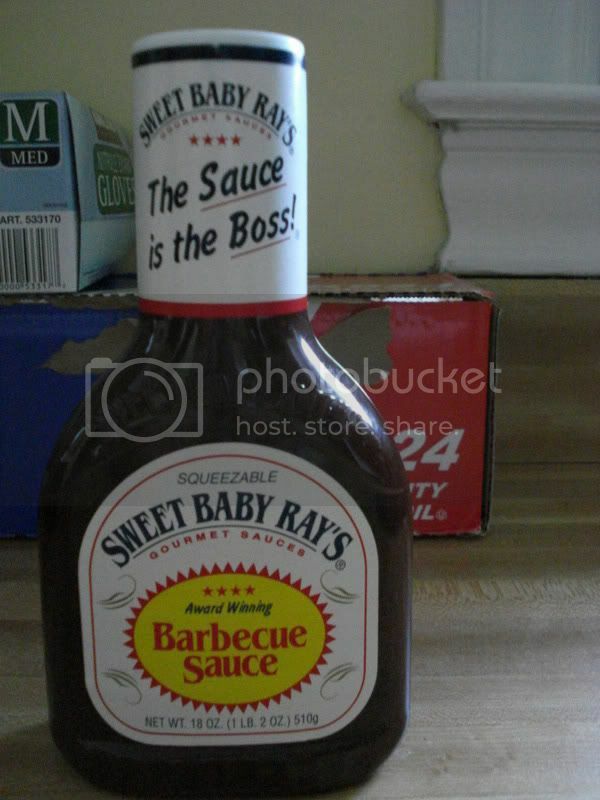 One that I've always been curious about is Sweet Baby Ray's. It has kind of a plain looking label, which is intriguing to me. Also, I like the name. For the most part, any time I buy barbecue sauce from the grocery store, I have low expectations. 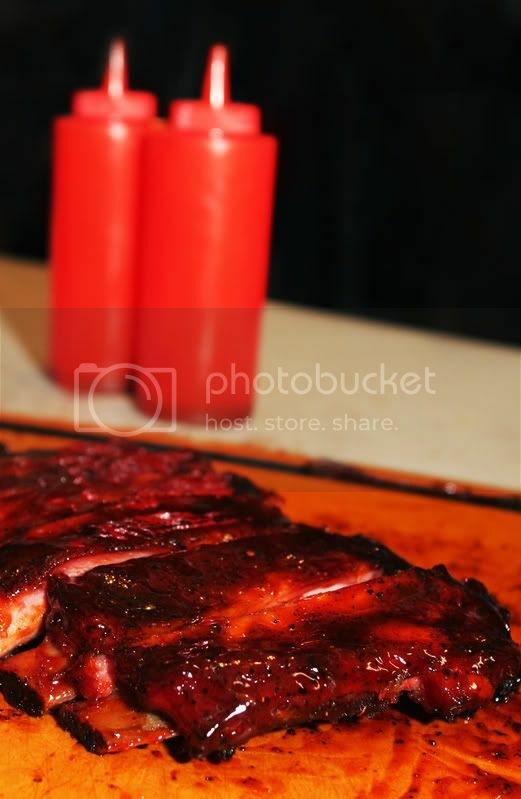 Barbecue sauces produced for the masses tend to have very little depth of flavor, relying instead on liquid smoke and pedal-to-the-metal sweetness. They all seem to be variations of KC Masterpiece, which has, for all intents and purposes, become the archetype of barbecue sauce in mainstream America. On the surface, Sweet Baby Ray's in no exception. 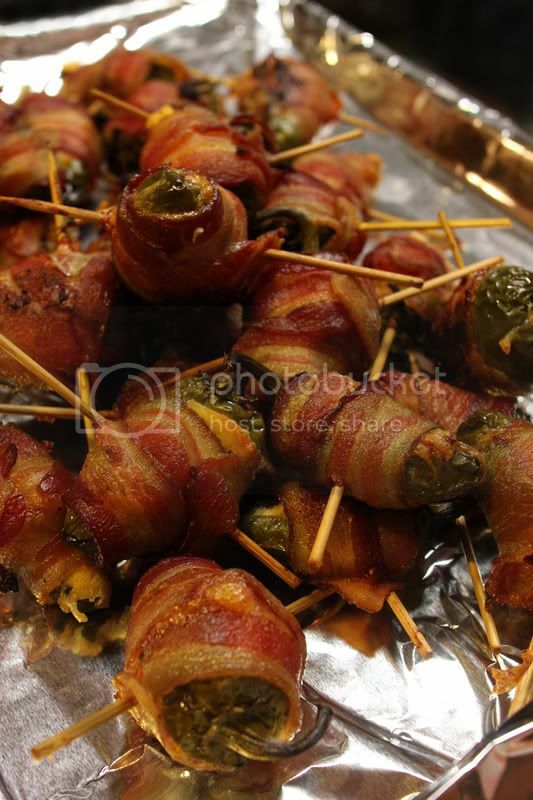 It is an unabashedly Kansas City style sauce - thick and dark, sweet and smoky. However, I found the sweetness to be lighter and more playful than the cloying assault normally associated with mass-marketed barbecue sauce. It has no spiciness to speak of, but there is plenty of smoke flavor. And a refreshing bit of vinegar twang rounds things out. All in all, I must say that I am pleasantly surprised. This is not a bad barbecue sauce at all. In fact, it is actually better than some of the highfalutin' sauces we have examined here. If you must buy barbecue sauce at a grocery store, Sweet Baby Ray's is not a bad way to go. 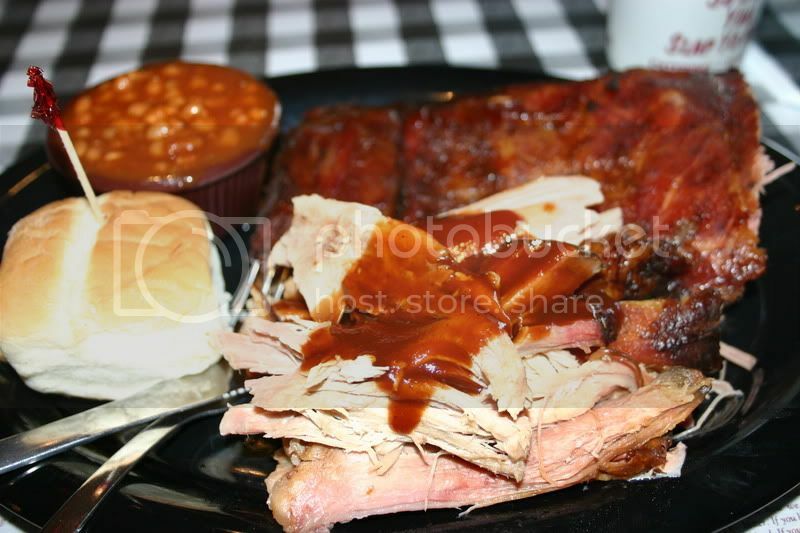 Perhaps no food item is more closely associated with the state of Tennessee than barbecue. It's an integral part of our culinary identity, so it's no wonder that the debate runs passionate when the subject is barbecue. It's remarkable, then, that when it comes to the question of where the best Tennessee barbecue resides, there is little debate. West Tennessee in general, and Memphis in particular, are so rich with great barbecue joints, it's downright uncanny. I've had the opportunity to spend some time in Memphis recently, so I decided to take a look at some of the best and some of the best known. Some of these places I've visited before, and some were new to me. Some are world famous, and some are meager neighborhood establishments. 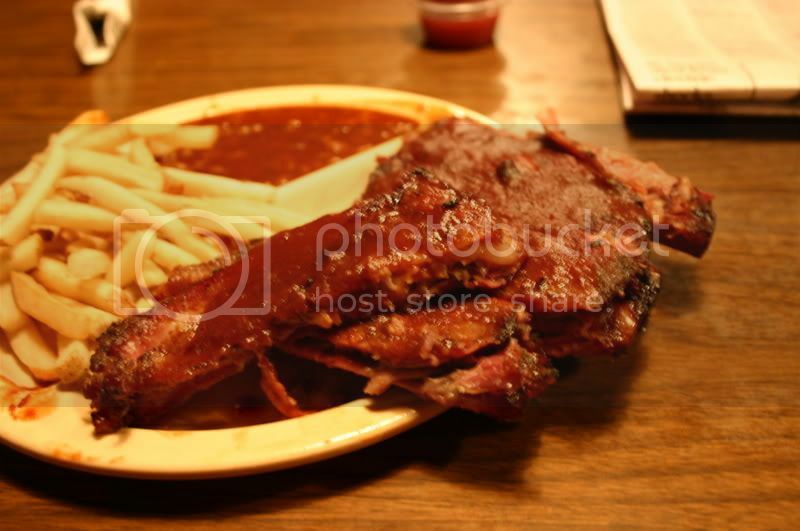 In Memphis, great barbecue can come in all shapes and sizes. 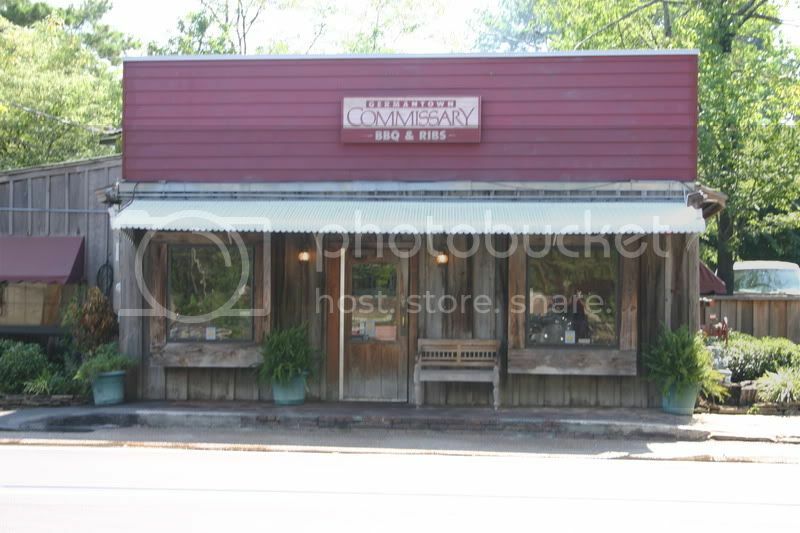 The Germantown Commissary has been a favorite of mine for years. The Commissary is not actually in Memphis, but in suburban Germantown. It has a classic barbecue joint feel, with creaky wooden floors, old wooden tables and chairs, and lots of random, funky memorabilia on the walls. 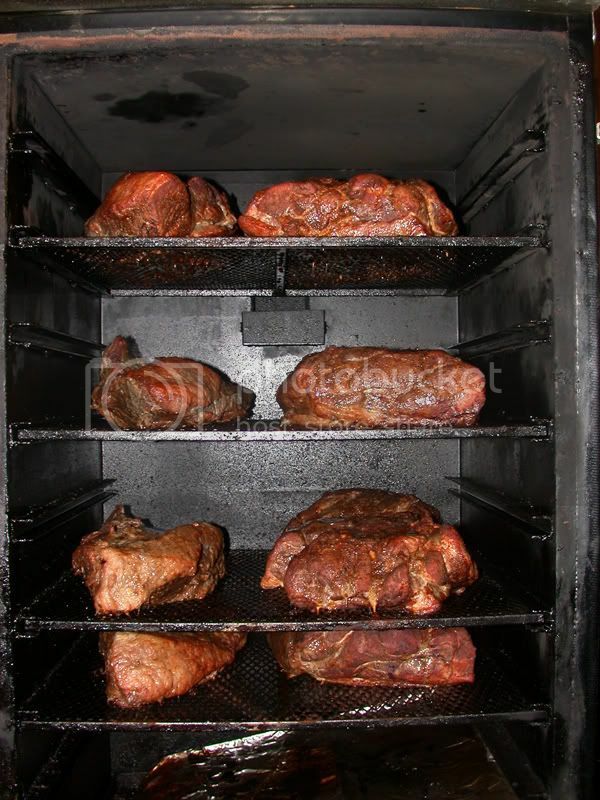 And it smells like hickory smoke. 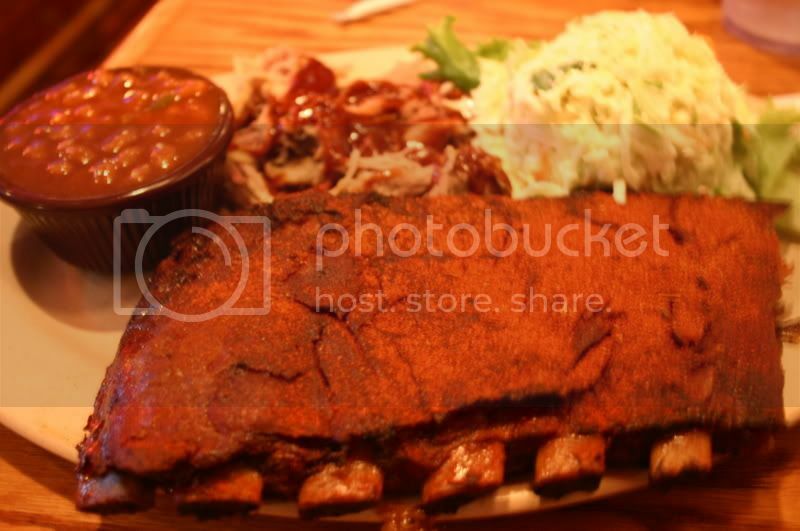 I've usually found both the pulled pork and the ribs to be good, so I ordered a combo platter. On this day, the ribs were tasting very average. They were a bit undercooked, requiring some work to get the meat off the bone. The seasoning was minimal. Perhaps if they had been cooked to a greater tenderness, more of the pork flavor would have shone through. Maybe it was just a bad day for the Commissary, but I found the pork to be disappointing, too. As usual, it was pulled in large chunks, but there was not that moist tenderness that great pork shoulder should have, and there was a lack of any real flavor in the meat - good thing there was sauce on the table! Corky's, it could be said, is to Memphis what Whitt's is to Nashville. They win "best barbecue" year after year in local readers polls, yet their reputation with barbecue aficionados remains dubious. My only exposure, until now, has been at Corky's Brentwood branch, which has never impressed me. But people from Memphis will say, "You've gotta go to the original one on Poplar." So I made my way to midtown to give this landmark a shot. Corky's does a brisk business, even at lunch. After a ten minute wait, I was seated, and I ordered a "Killer Combo" of ribs and pulled pork. 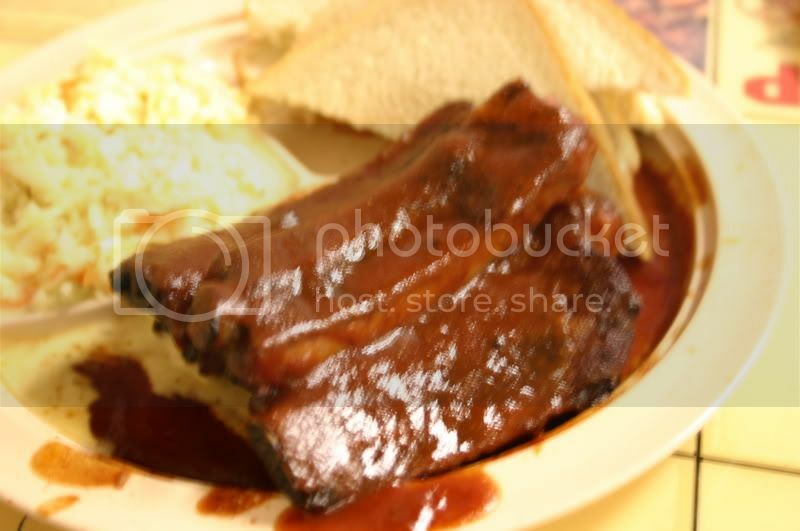 When the plate arrived, the prospects did not look good for the ribs. And unfortunately, they did not taste much better than they looked - dry, not much meat on the bone, and the dry rub (which I am not necessarily prejudiced against) was not doing it for me. The pulled pork was definitely better. Though it didn't have much smoke flavor, it was cooked to a perfect tenderness - juicy without being mushy. Overall, though, my experience at this original Corky's location was only marginally better than my Brentwood experieinces. 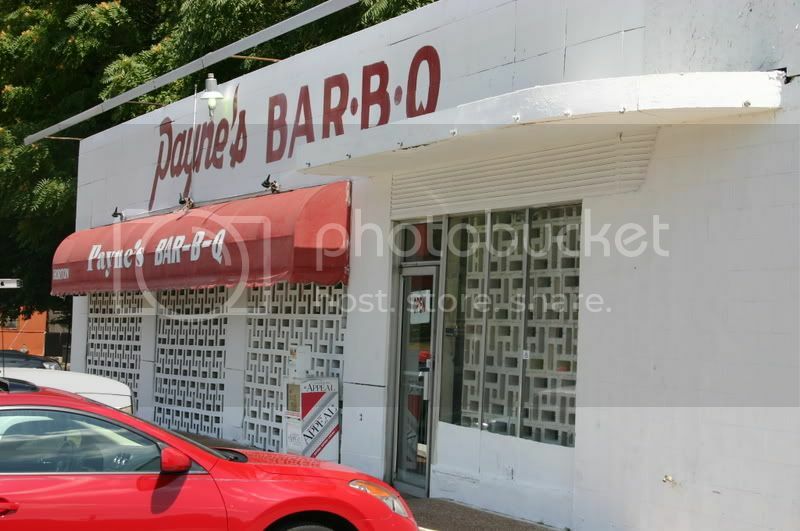 You may remember that my last trip to Memphis included my baptism at Payne's Bar-B-Q. 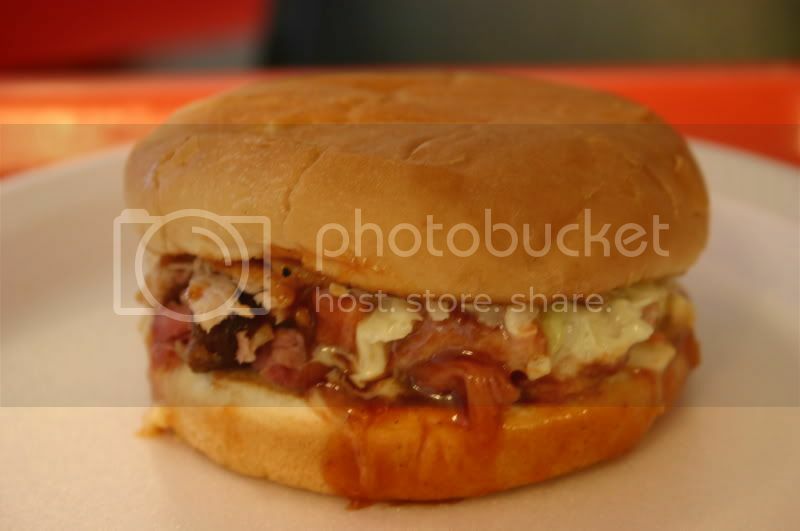 I still find myself dreaming about that barbecue sandwich from time to time. So after a decidedly mediocre start to my Memphis adventure, I decided to pull out the big guns and head for Lamar Avenue. But surely I was setting myself up for disappointment, right? The sandwich could not be as incredible as I remembered it, right? Wrong. It really is that good. I'm trying to put my finger on exactly what makes this sandwich so great. There is obviously a divine harmony between the sweet hot barbecue sauce and the tangy fluorescent slaw. But ultimately, I think it's the chopped pork that truly makes it. It's a mix of velvety tender pork spiked with lots of crispy bark pieces - it's textural perfection, Dear Reader. And this time, I discovered a new thing to love at Payne's - homemade fried pies. They are quite simply the best fried pies I've ever had - a light and flaky crust, not too greasy and not at all soggy, with the perfect amount of apple or peach filling. I can't imagine a better culinary one-two punch than a Payne's chopped pork sandwich followed by a Payne's fried apple pie. Mmmmmm!